Do you want to be a driving instructor? If you enjoy working with people, teaching people to drive can be very rewarding. You will encounter pupils from all walks of life and all ages. By teaching them to drive you will give them a life skill they will retain for the rest of their life. When your pupils pass their driving test through your efforts you will feel a sense of pride and achievement for the role you have played. On a grander scale, as a driving instructor you will also be contributing to road safety throughout the UK. The skills of the next generation of drivers are in your hands. By instilling safe driving procedures and awareness of road safety in your pupils you are ensuring that our roads remain safe for all users. The UK has one of the best records for road safety in the world, and this is in part due to diligence and dedication of our driving instructors. Around 1.6 million people in the UK take a driving test every year. This will give you a reliable source of pupils. As your reputation grows you will find that you will gain more and more pupils through word of mouth until you find yourself fully booked. As a driving instructor you will be self employed. If you value your freedom and and independence this will be an ideal choice for you. You may have bad experiences of overbearing and unreasonable bosses; this will become a thing of the past. As a driving instructor you can run your business in the manner you choose and not have to justify your actions to someone higher up the hierarchy. As you are your own boss, you can choose the hours you want to work. Of course you need to make yourself available to your pupils, but if you want to take an afternoon of during the week, it is entirely your choice. You are free to take holidays whenever you want; just ensure that your pupils know when you will be back. Lanes School of Driving has been providing driving instruction to the public since 1914. We have taught generations of pupils to drive and our reputation is well established. Today we rank amongst the largest driving independent driving schools in the UK. 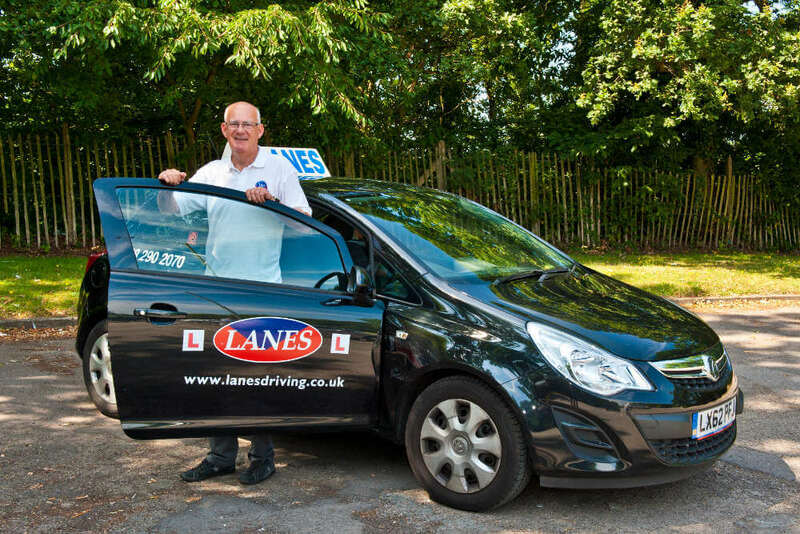 Lanes has been providing driving instructor training for over 30 years. We have trained men and women from all backgrounds to become Driving Standard Agency Approved Driving Instructors. By training at Lanes you will have the benefit of our reputation and prestige behind you as you embark on your new career. At Lanes we practice an ethos of being relaxed but professional. We will give you secure employment. and a committed support and marketing network to boost your career to new heights. Our driving instructors can expect to earn £20,000 per year when starting out. As you gain in experience and reputation, your earnings can be expected to increase to as much as £30,000 per year. After your training at Lanes you have the choice of working with us as a franchised driving instructor. If you choose, you can use your own car and be completely independent. It’s totally up to you! to speak to one of our friendly and helpful staff to arrange an appointment with one of our trainers. Copyright © 2019 Lanes School of Driving. All rights reserved.